Andrei Sakharov's first wife and daughter. Soviet physicist and human rights activist Andrei Sakharov (1921-1989) married his first wife Klavdia Alekseyevna Vikhireva (left) in 1943. They had two daughters and a son. Klavdia, whose married name was Sakharova, died in 1969. 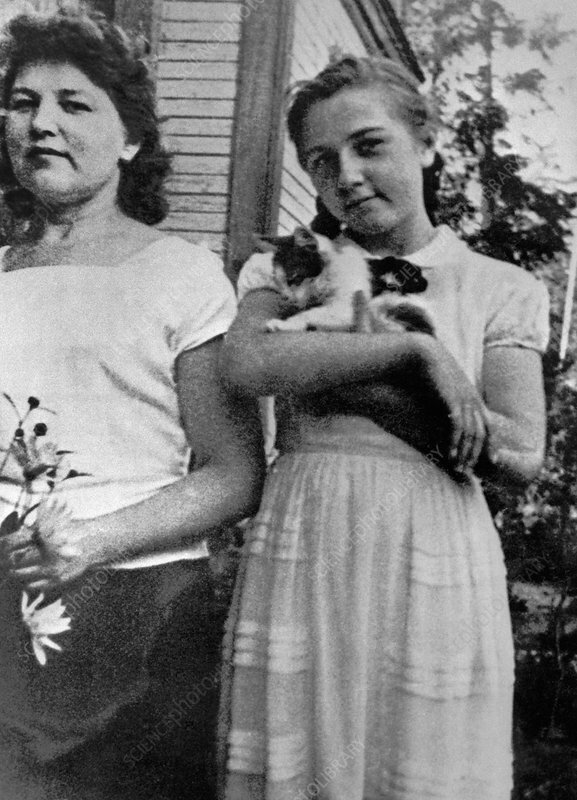 At right is her daughter Tanya (born 1945), holding a kitten. Photographed in 1950.